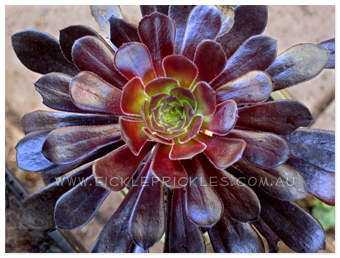 Here in Perth, a majority of cacti and succulents go into a dormant state during winter. These plants will only need very little water during this period, and in fact, some will require no water at all! If you have your cacti outside at this time of the year, you will want to make sure they are kept under cover, otherwise they are very likely to rot. Some succulents, such as Echeveria, are also sensitive to over watering during this period. On the reverse side of the coin, there are succulents that thrive in winter conditions and go into a dormant state during summer. Weird, I know, but yes, some succulents like to be dry in the summer time! Not sure which category your succulent fits in? You can easily find this out by simply researching what habitat they originally come from. If they originate from a subtropical or tropical area, then they are more than likely to be summer growers. In this case they will need an ample supply of water in summer and very little in winter. However, if they originate from a temperate region, then they will tend to be winter growers and the opposite rules apply. This knowledge is a very handy tool, and it can help you to figure out what locations in your garden to plant particular species. If there are areas of your garden that are currently uninhabitable because you cannot get enough water to it in summer, then try planting winter growing succulents and sit back and watch them thrive! The plant pictured is Aeonium arboreum var. 'Schwartzkopf'.